The Firefly Vaporizer is the latest in high quality and high tech portable vaporizers to hit the market. It features a super clean borosilicate glass heating chamber with an easy to remove magnetic lid that gives you easy access for cleaning. 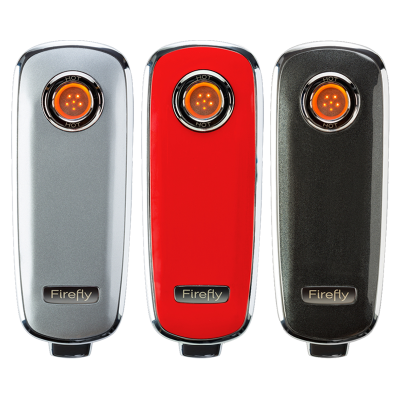 The Firefly has a quick charging replaceable battery and dynamic convection technology to bring the air that circulates through the chamber to a maximum temperature of 400°F. The result is efficient vapor perfection. This product has a 5 year manufacturer warranty. Vaporizing with the Firefly is as simple as pressing a button!